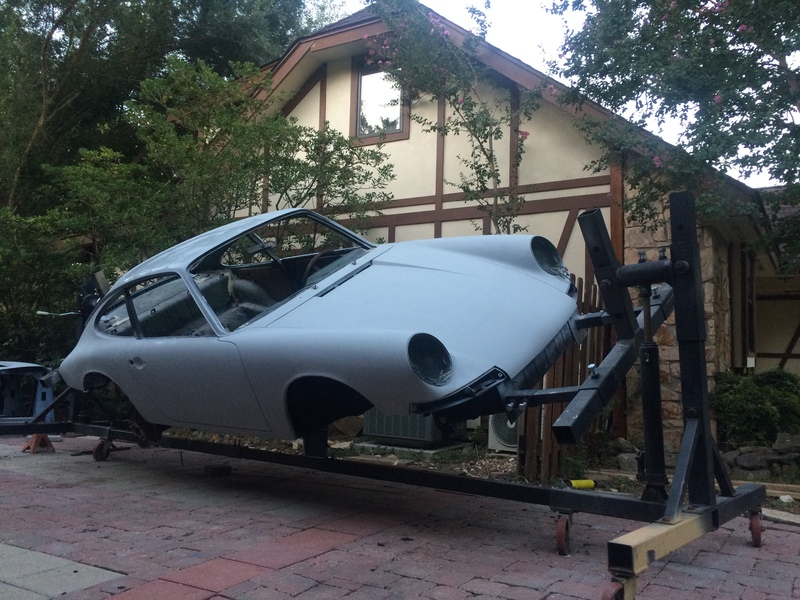 The foundation of any restoration should be returning the chassis to its original strength. If needed, we offer full rotisserie services. New panels are available from Restoration-Design in Canada or Dansk out of Denmark. A typical floor pan replacement is about $1800. 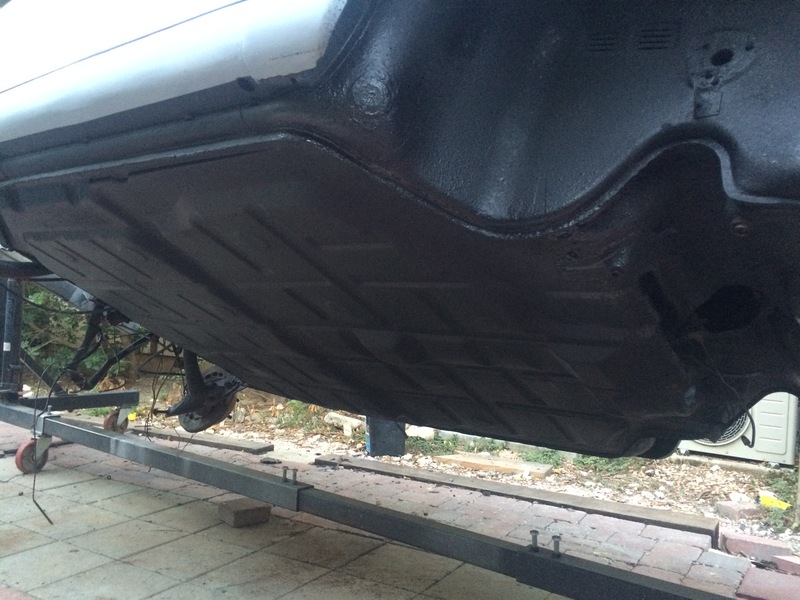 This car received a new floor pan, and front suspension pan. 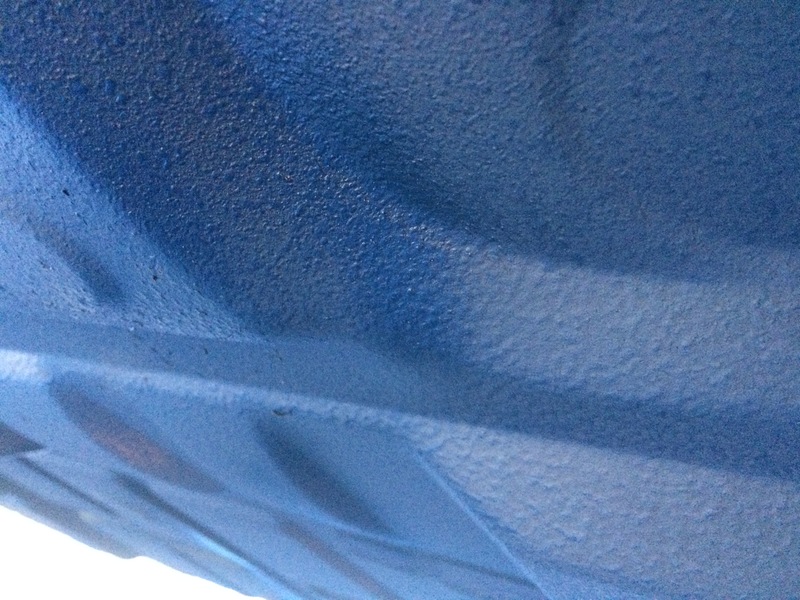 The texture on the underside of this car replicates the splatter texture as it came from the factory.